Often times, thinking outside the box is tough given what little room there is for evolution in power metal. Poised to break down this misconception, Light Bringer--perhaps Japan's rising star--combines mainstream hooks and odd time signatures, creating an oddly listenable product; and one that sounds absolutely divine next to the generic drivel churned out by their peers. Thanks to vocalist Fuki's acrobatic range, and her experience dabbling in peculiar genres, the band's last two records are the ones to grab first. Light Bringer's 2013 release, Scenes of Infinity, builds upon what made Genesis so sterling: an amalgam of popish tendencies and crushing instrumentation that begs to be spun over and over. Like the rest of their discography, the five piece make their love for other music no secret. In fact, both records are littered with everything from bass noodling, simplistic melodic clichés, and a cultural influence only the most devoted otaku could love. 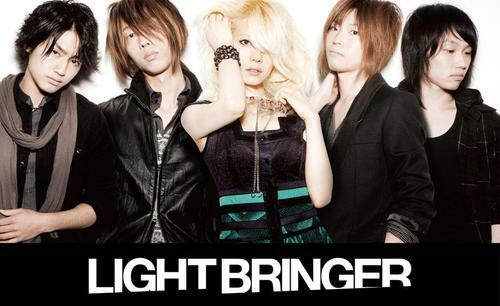 As a result, Scenes of Infinity showcases Light Bringer's progressive tendencies at their peak. While not strictly progressive metal, sprawling arrangements make up the bulk of each track and mesh with what is best described as inspired by the Japanese pop scene. Enka, a past musical phenomenon, slyly inserts itself into vocal melodies and works surprisingly well with highly-distorted guitars and Dream Theater-like instrumentation. 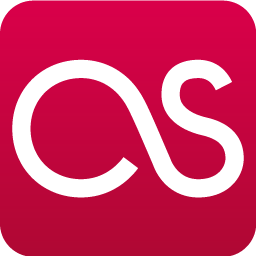 Unlike Genesis, however, Scenes of Infinity benefits from a less compressed production. The sound appears organic in comparison, with guitar and synth work that powerfully pops when placed next to the last record. Even so, both albums are perfectly listenable, though Scenes of Infinity is the clear victor, in terms of fidelity. Positioned over the rest of the band, vocalist Fuki skillfully carries each track's main melody and makes a compelling case as to why Light Bringer are one step ahead of their contemporaries. "Venus," in particular, highlights the group's knack for mixing sugary melody and progressive musical passages--something increasingly difficult to pull off with any amount of complexity. "Hydrangea" pushes Light Bringer's softer, lusher side with a piano-accented hook and fusion guitar playing. Known for his fretboard dexterity, guitarist Jay's inclusion of fusion elements is a wonderful addition and a welcome change from his inclination to lean toward neoclassical shredding. In comparison, "Hyperion" builds off past efforts in a more traditional way, combining soaring vocals and progressive power metal. 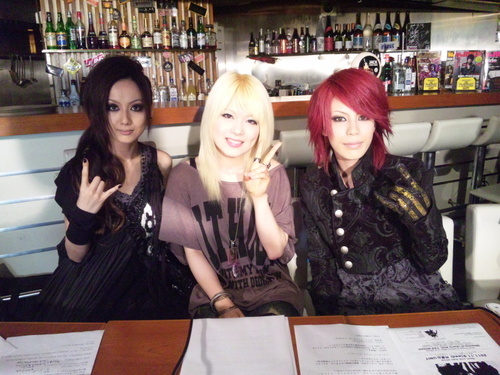 Vocalist Fuki happily defies the metal-look stereotype. A groovy number is in the cards, too, and "人形が見た夢" delivers in spades. From the track listing, the song is best fit for a single (or music video), but "Hyperion" seized the opportunity instead--a curious choice, but one Light Bringer are a better band for. "Eau Rouge" more than makes up for "人形が見た夢's" admittedly excellent bait-and-hook and presents an irresistible example of Petrucci-inspired wizardry. 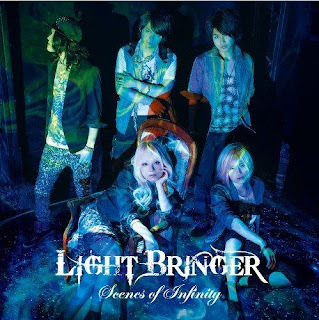 The remaining portion of Scenes of Infinity continues to boast Light Bringer's urge to reinvent and step outside power metal's comfort zone as well. By upping the dosage of progressiveness since Genesis, the record is a monumental feat, considering the vicious thrash between pop and various styles of niche music. From here on out, the only way is up and, based on Light Bringer's staggering success with each album, the next will be eye-wateringly explosive, topping previous efforts with ease. I just love this girl and her voice. I see her in many different projects and not only is her voice outstanding but Fuki always seems to have a smile on. I guess when you are this good you have to smile knowing people are in awe.